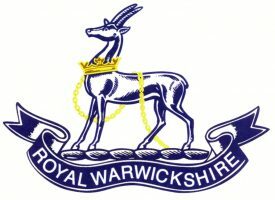 A website dedicated to the man who made Nuneaton his home. He employed thousands of local people and built some of the town's iconic buildings. Records of the Parish of Rowington and surrounding area. 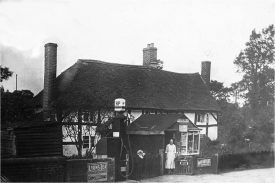 A mostly photographic archive containing around 4,000 old photographs and documents from in and around Rowington. The museum tells the story of the County infantry Regiment from its origins in 1674 to the Fusiliers of today. There is something for everybody at the museum. Try on uniforms - a great photo opportunity; have a go at the quizzes on the touchscreen; discover how soldiers see at night; hear about D-Day and Gallipoli. The collection comprises of material and associated information relating to the history of the Borough of Rugby, and the histories of the people who have lived and worked here. 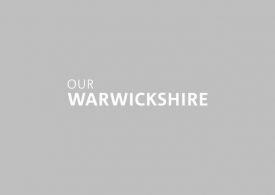 We are a small group based on the town of Rugby, Warwickshire. Our aim is to encourage and aid the study of Family History, which extends to conducting research relating to Rugby and surrounding areas for members resident outside the district. A small group of people interested in the history of Rugby. The group grew out of a class at the Percival Guildhouse in Rugby, where it still meets. The group has produced several publications including the Aspects of Rugby booklets - all eight of the series are still in print. We are working to put on a festival to celebrate the canals that runs through Rugby and it's surrounding villages. We want to celebrate the history, people and businesses of the canal that have contributed to the town and area since the late 1700s, when the canal was first opened. This group exists to advance the education of the public on the history of the village and people of Ryton-on-Dunsmore in Warwickshire, to promote research for the public benefit in all aspects of that subject, to publish useful results and put on exhibitions for the benefit of the public.